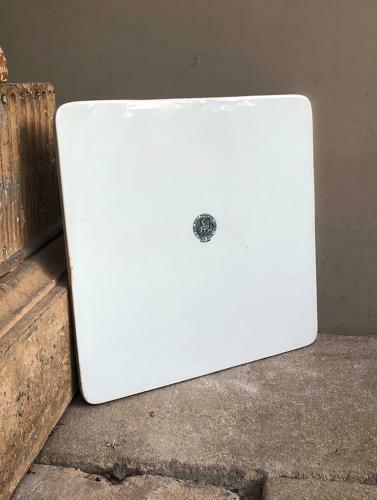 A Rare, Square & Large Edwardian White Ironstone "MAW & SONS" Scale Plate. Great central logo to the top. Just the perfect cheese plate...the ironstone keeps the cheese cool.